Inspired by the golden glow of honey, this primer neutralises the appearance of discolouration and redness while imparting a luminous, dewy look. Innovative light-reflecting gold flecks are suspended in the formula to instantly illuminate, while collagen helps to plump skin and keep it looking radiant all day. Purse-friendly yet high-performing, this is everything we love about NYX Professional Makeup. Tired of your skin looking in need of a holiday? Send it on permanent honeymoon with NYX Professional Makeup’s Honey Dew Me Up Primer. 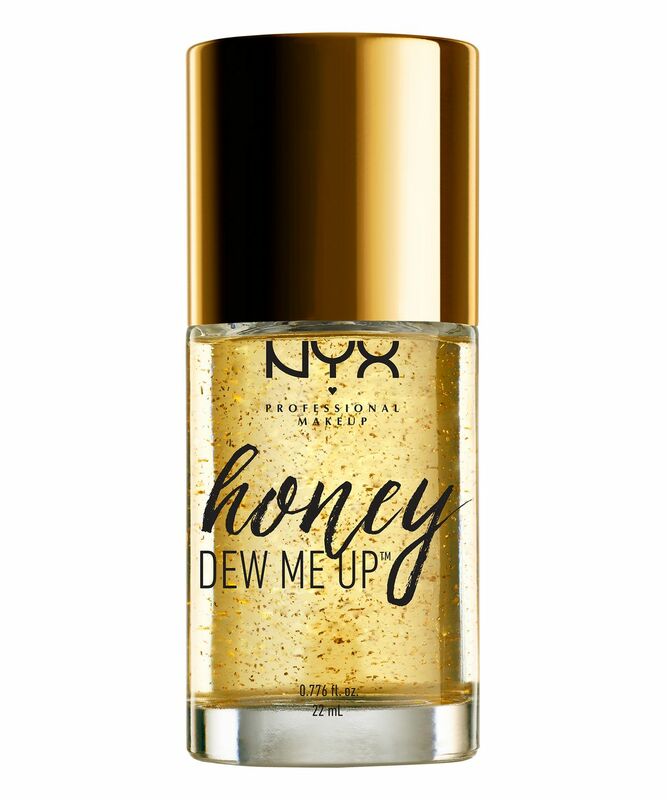 Ideal for diminishing dryness, this honey-textured fluid cools skin down and infuses it with moisture to leave you with an enviable glow. Perfect as a primer, the formula also neutralises the appearance of discolouration and redness. Thanks to collagen, tiny suspended gold flakes and honey extract, the sublimely textured primer imparts much-needed moisture and helps to firm skin, fighting unwanted signs of ageing. A joy to use, it glides onto skin and illuminates beautifully – once you’ve tried it, you won’t want to be without it. I suffer with a skin condition called psoriasis, so this really has improved my skin, would recommend to anyone with dry skin to use this before applying foundation,as it gives a long lasting look! Just incredible. My skin is dry with oily T-zone so I decided to give this primer a try (although I was afraid it would cause my t-zone to shine even more) and I absolutely loved it. It makes your foundation last longer and skin is silkier.